I should also mention that I paper-pieced my quilt and that I have pre-cut paper pieces available on my website for Tessellations I (this quilt's brighter version). This quilt (T-II) uses the same pieces with the addition of some hexagons. If you find any other errors in the book, please email me, so that I can fix them here and they can be corrected in the reprint later this year. Thanks fot letting us know Brigitte! I’m enjoying your book very much! 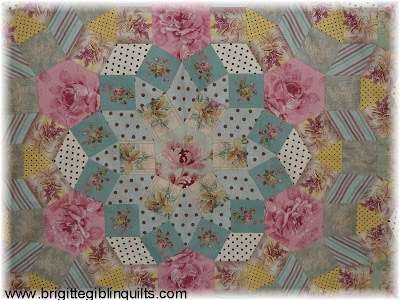 Something that Quiltmania has to consider is to use readable colours for the text. It’s sometimes printed in a very soft colour, like on top of page 33 and 210 and in between the material lists. I‘ve not the best of eyes and I have a hard time to read it. Congratulations on the book being published Brigitte, I can't wait to get hold of a copy for myself. I participated in the MO Tessellations 1 BOM & loved working on every block, thank you for producing so many inspiring quilts. I am excited to find out about your book via paper pieces. 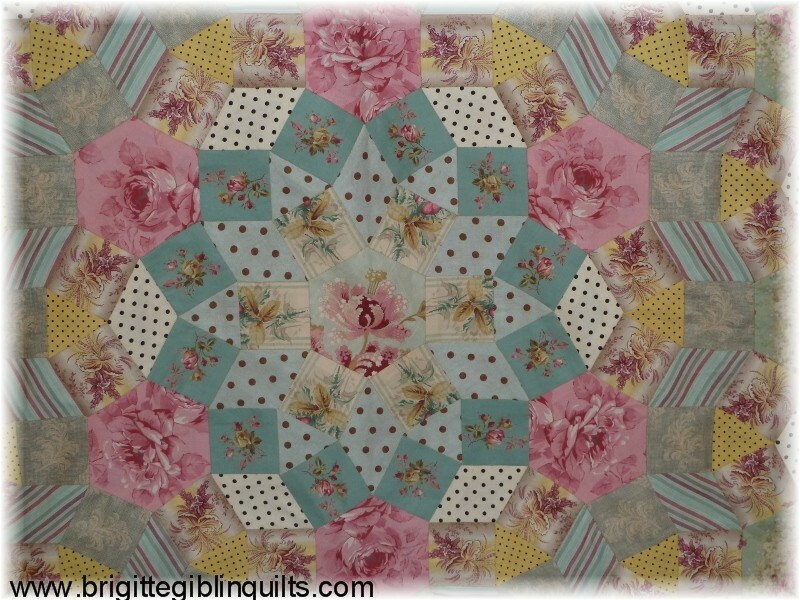 I have a fairly popular blog (the Hillbilly Handiworks one if you look at my profile), and I just LOVE paper piecing. Have you ever considered a blog hop promoting the book?